The Wallowa Mountains stand guard over the northeast corner of the state like sentinels to this rugged and beautiful country. Many travelers know this area as the gateway to Hells Canyon, Wallowa Lake and the bronze-capital town of Joseph. But there’s rich history, outdoor adventure and local cuisine to be discovered here too. Slow down and take a trip through the towns of Union, Wallowa and Lostine. You’ll be glad you did. Just 11 miles east of US-84 near La Grande, the town of Union was settled by orchardists who planted the first pear and apple trees here in the foothills of the Blue Mountains in the 1860s. Visitors enjoy exploring the charming downtown, a collection of Victorian homes and brick buildings that make up Union’s National Historic District. Nearby Catherine Creek State Park is just one entry point into the grand Wallowa-Whitman National Forest, with camping, hiking and fishing opportunities in a tranquil setting alongside Catherine Creek. Stop in at LG Brewskis for a burger, a giant plate of nachos and a cold Oregon beer. This little hamlet of about 800 folks is a 57-mile drive up OR-82 from the town of Union. Like the nearby lake with the same name, “Wallowa” means “fish trap” in the Nez Perce language. Learn about the Nez Perce people, the area’s first residents, at the Wallowa Band Nez Perce Trail Interpretive Center, which also tells the story of the 1,170-mile Nez Perce National Historic Trail. 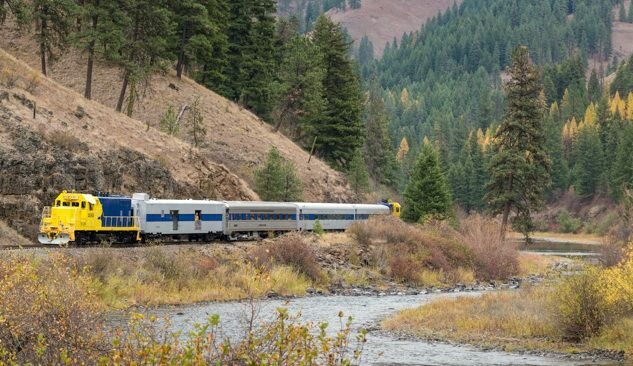 The Eagle Cap Excursion Train, departing from nearby Elgin, offers unparalleled views of the Wallowa and Grande Ronde rivers. Get a taste of Old West ranching tradition with a visit to Carman Ranch. This family-owned working ranch supplies Oregon restaurants and households with high-quality, grass-fed beef and welcomes visitors to come learn about its operation. Follow OR-82 just 8 miles along the Lostine River into the small town of Lostine (pop. 213). At the north end of town, check out M. Crow & Co., a mercantile and gallery that for more than 100 years operated as a store supplying area farm families. Recently purchased by a local artist, the mercantile sells groceries, hardware and household goods. You can’t and don’t want to miss The Blue Banana espresso shack. Stop for a cup of coffee and a photo op inside the banana itself. Now that you’ve had a good look at the tremendous Wallowa Mountains looming above this string of little towns, maybe its time to plan an adventure. The folks at Wallowa Mountain Outfitters can mule pack your gear in as you hike or ride horses to your campsite. They can also teach you how to mule pack all on your own. The Wallowa Mountains aren’t called Oregon’s “Little Switzerland” for nothing. With several peaks reaching nearly 10,000 feet, this mountain range is one for the bucket list. Those with the time, inclination and fitness will revel in the beauty of these and other nearby hikes. Minam River via Moss Springs (15.2 miles, difficult): This Eagle Cap Wilderness hike is best from June to October. 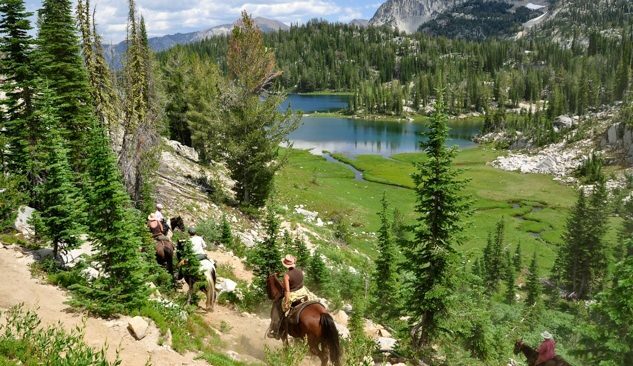 It’s popular with equestrians as well as hikers. Minam River via Rock Springs (8.4 miles, difficult) One of the most moderate trails into the Minam River Canyon, this route includes wide open meadows and the ruins of an old lodge. Standley Cabin (9.6 miles, difficult) This strenuous route rewards those who undertake it with awesome views of craggy peaks and verdant valleys. Bear Creek (10 miles, moderate) Following Bear Creek, this low elevation hike passes through a thick forest and includes several desirable campgrounds and an old cabin for exploring. Book a room at The Historic Union Hotel in Union or head farther east on OR-82 for various lodging options in the towns of Enterprise and Joseph. Editor’s Note: The highways and back roads of Eastern Oregon lead to remote places, so make sure to top off the gas tank. 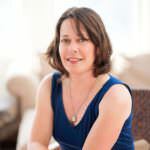 Check road conditions before setting out — especially in winter, when many roads close — on TripCheck.org.